Former Court of Appeal judge Jacques Delisle has been found guilty of first-degree murder in the death of his wife, Nicole Rainville. After 2½ days of deliberations, a jury in Quebec City delivered the verdict Thursday. Delisle called 911 on Nov. 12, 2009, to report that his wife had taken her own life. Police first suspected foul play after finding gunshot powder residue deep within the palm of Rainville's hand. Her palm would not have been stained with residue had she been grasping the gun, according to police. Rainville had suffered a stroke two years earlier that left her partially paralyzed and relying on the assistance of a wheelchair or cane. "We worked hard and respect the verdict reached by the 12 jury members who also worked hard and listened to the evidence throughout the entire case," said Crown prosecutor Steve Magnan. "The verdict today supports the theory and proof that we provided before the court." Delisle, who had pleaded not guilty to first-degree murder, maintained that his wife committed suicide. In May, the court heard that Delisle had asked an ambulance team not to bother trying to revive his wife, because that was not what she would have wanted. In testimony, the police officer who responded to the 911 call said the retired judge asked that his wife's wish to die be respected and that no resuscitation attempt be made. "He warned the ambulance workers not to work on his wife because these were her last wishes," said Jean-François Bégin, a Quebec City police officer. Testifying to a packed court, Bégin said Delisle appeared calm when authorities arrived at the apartment, shortly after the retired judge called 911 and told the operator his wife had shot herself. He told the court he checked for a pulse but could not find one. Rainville's death was initially deemed a suicide — but seven months later police arrested the former judge and charged him first-degree murder. Delisle was appointed to the Quebec Superior Court in 1983 and sat on the Court of Appeal for 15 years. He left the bench six months before Rainville’s death. 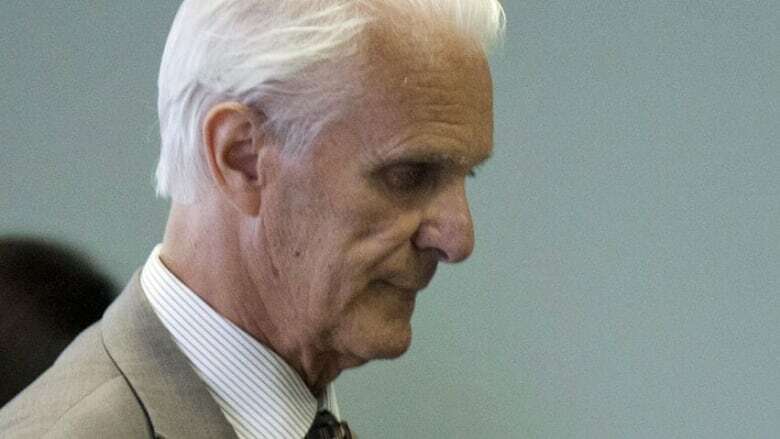 During the Crown's opening arguments, the court heard that Delisle, now 77, was living a double life and seeing his former secretary around the time of Rainville's death. The Crown alleges the couple's life changed significantly after Rainville suffered a stroke, and she had spent much of the last months of her life in the hospital recovering from a broken hip. According to the Crown, that contributed to the motive for the murder. The prosecutor said ballistics evidence proved Rainville did not shoot herself as Delisle claimed. Delisle's murder trial is believed to be the first for a member of the judiciary in Canada. Bégin testified that Delisle told police he had fought with his wife just hours before her death, after which he left his home to run an errand. When he returned, he said, his wife was dead. Police drove the retired judge to the hospital after his wife's body was taken from the home, and Bégin told the court he overheard Delisle breaking the news to the couple’s daughter on the phone. The constable said Delisle looked nervous and had difficulty finding words. He eventually told her that Rainville had killed herself.